Ohrringe Durchmesser: ca. 2,5 cm. 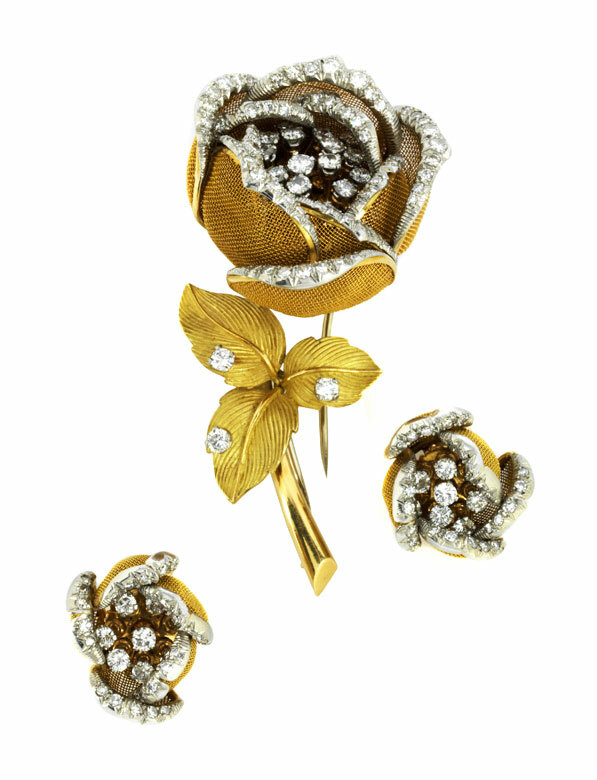 Wohl Van Cleef & Arpels. 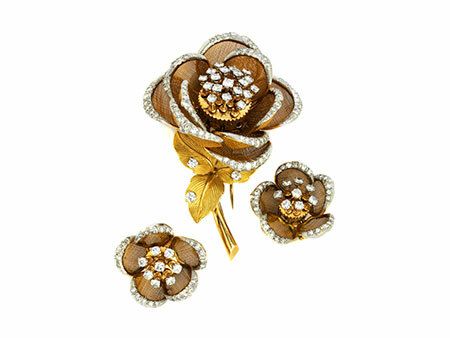 Diameter of earrings: ca. 2.5 cm. 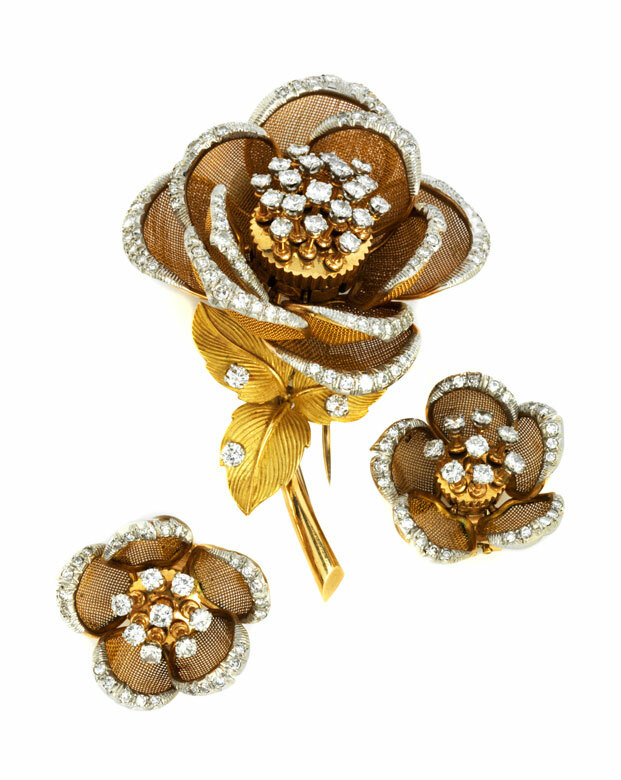 Probably Van Cleef & Arpels. 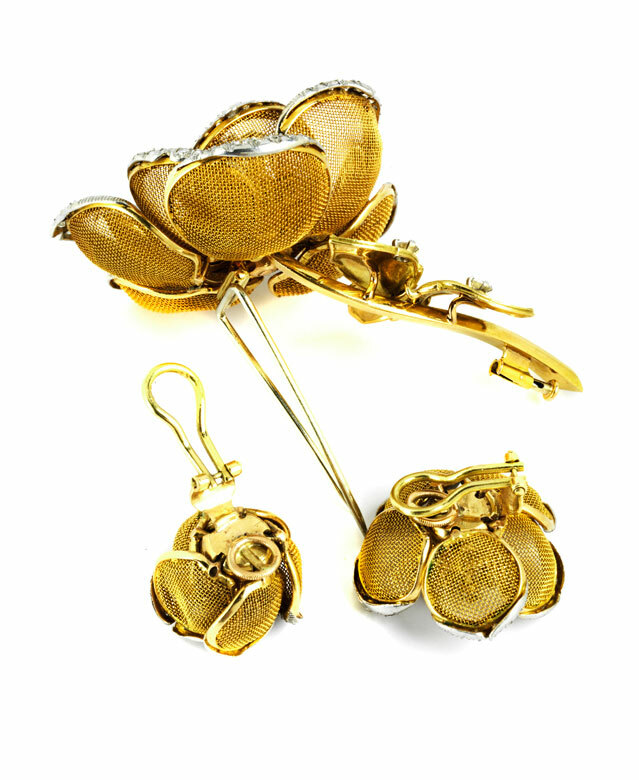 An exceptional, very fine rose set comprising brooch and ear clips with flexibly mounted flower petals made of fine gold mesh, the edges set with octagon cut diamonds totalling ca. 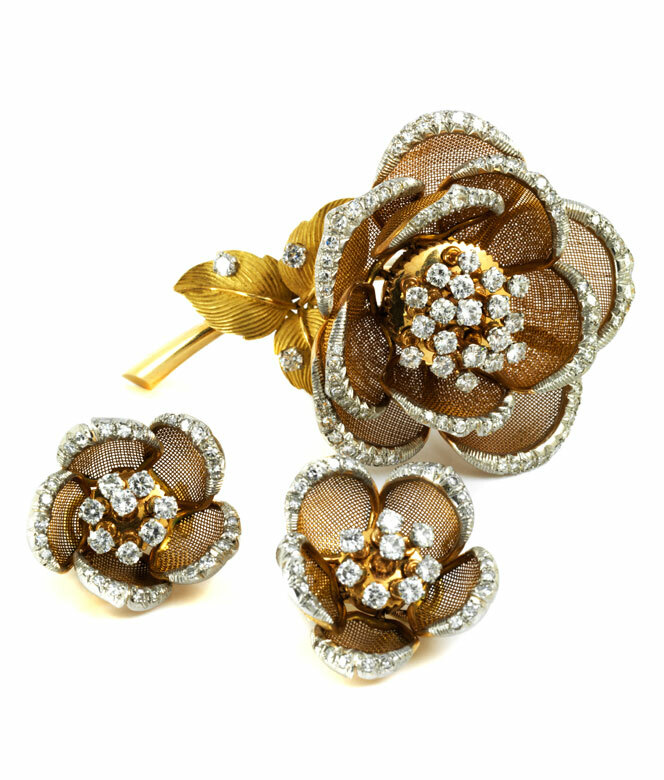 1.8 ct, and fine brilliant-cut diamond pistils set “en tremblant“, totalling ca. 4.4 ct. Closure with double pin and safety catch.